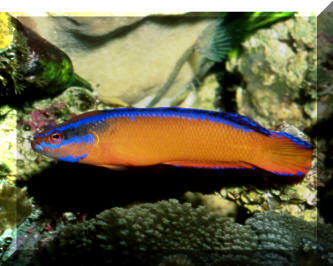 Obgilbyina queenslandiae (Saville-Kent 1893), the Queensland Dottyback. Queensland, Australia endemic supposedly.... To six inches in length. A male in S. Sulawesi, Indo. 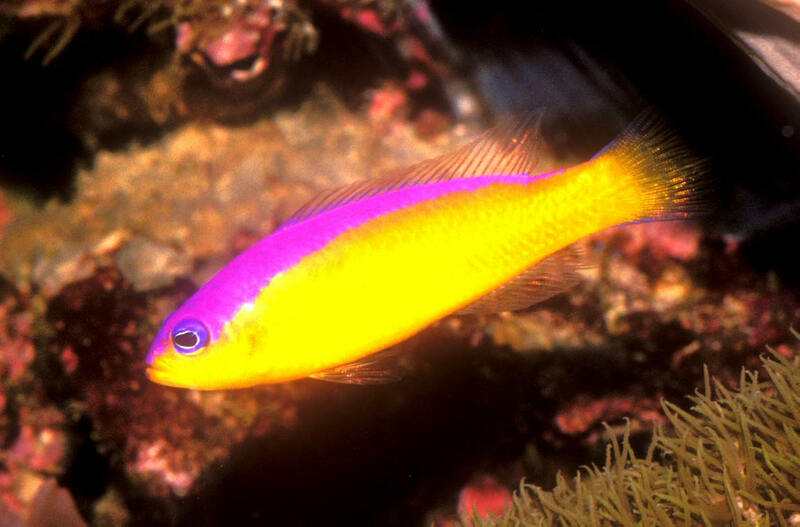 Pseudochromis diadema Lubbock & Randall 1978, the Diadem Dottyback. Western central Pacific. To two and a half inches in length. 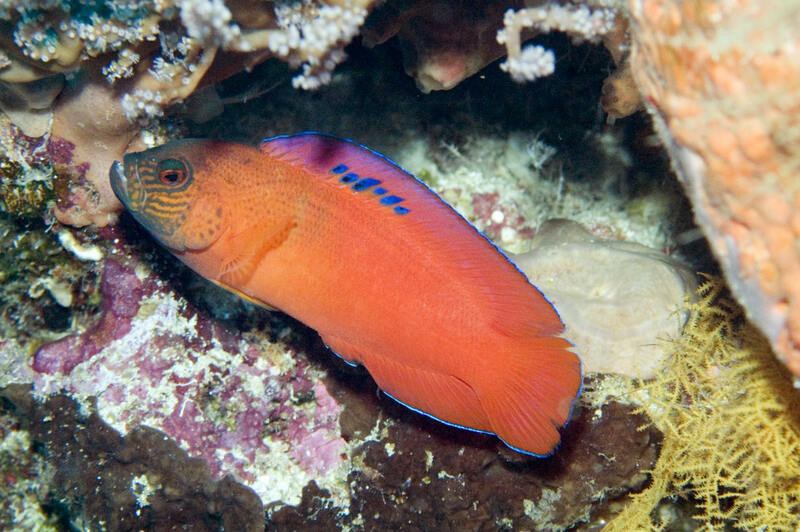 One of the first Dottyback species to be kept. 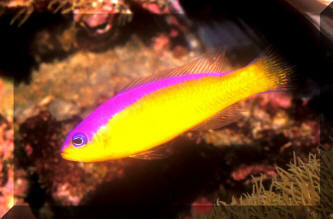 An aquarium image.